Schools continue to operate under tight budget constraints. With available dollars prioritized to educational delivery, it’s a simple reality that security-driven improvements can’t always rank at the top of the spending list. However, the elevated dialog around school security since the horrific shootings in Newtown, Conn. in 2012 has yielded new insights and a vastly-expanded toolbox of ideas and recommendations. Most of these options are not dependent on huge capital investments to help districts understand how to improve security, including the recommendations of the NJSBA School Security Task Force. Security can’t wait for budgets to catch up. While capital improvements are needed, planning, prioritizing and improving school security can start to achieve results without an initial dependence on dollars if you approach it with the right mindset. Impact vs Cost? The majority of changes that have a real, long-term impact on school security involve people, policies and practice. This is evident if you review the NJSBA School Security Task Force recommendations or the other documents referenced at the end of this article. Only a small portion of the recommendations depend on costly upgrades to be implemented. Those improvements that strengthen the culture or climate within a school, or train and empower staff, can have a remarkable day-to-day impact on school safety. Once in place, these measures can be reinforced when dollars can be made available. Accept a Need to Improve and Prepare Each of us is subject to a broad range of biases that influence how we think and perceive things. For example, security may be perceived as a lower priority by a school district that has not experienced a significant incident. It is a common human bias to over-weight prior events (or pure luck) as predictors of the future, and regard positive outcomes as more likely (the gambler’s fallacy or an optimism bias). It’s also a natural tendency to attribute today’s success to what we have or have not done in the past. Consider a coin flip; depending on how many times we flip and heads come up, we start to feel that it is more or less likely to be the next result. In reality, the odds never change. They are fixed at 50/50, each and every single time the coin is tossed, regardless of what has come before. Similarly, it is just as likely that a security incident could happen tomorrow whether or not one occurred in the past. Regardless of your current security measures, you can improve. Approach school security with a goal of constant improvement and focus efforts accordingly, regardless of what has or has not occurred in the past. The Process is the Goal Being ‘secure’ should not be understood as an achievable milestone, but rather as a continuous state of preparedness and improvement over time. As you begin to plan and implement, you will learn what you are doing well and where your district needs to focus improvement resources. 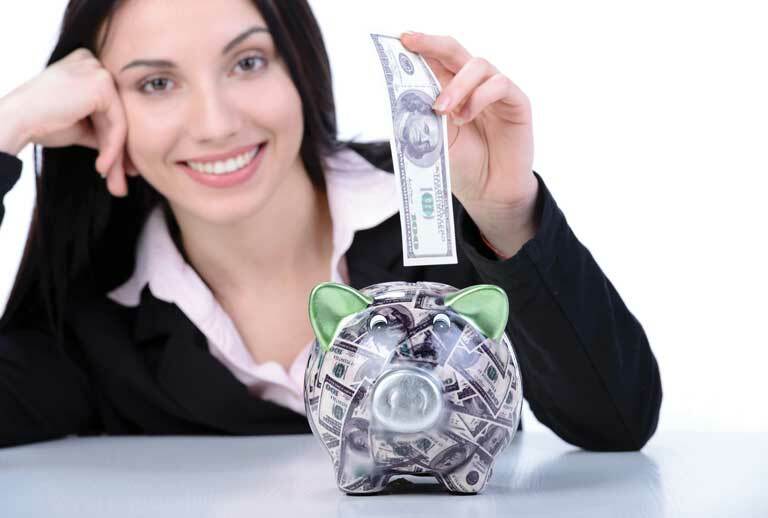 As with a marathon, you can achieve great results while budgeting resources over time. Creating a culture of security and increased awareness, and preparing a calm, prepared response when an event occurs, depends on your people and their training to a far greater degree than physical upgrades you are likely to make to your buildings. Conduct a Security Audit To understand where you can improve, you need to take stock of where you stand. Whether undertaken directly or with the assistance of outside professionals, a security audit or assessment process should evaluate your school culture/climate, your facilities (inside, outside and grounds), off-campus operations (transportation, etc. ), communications, and other factors depending on your community. It should be undertaken with the input and participation of local law enforcement and once complete, the assessment should yield a range of recommendations and/or goals around which action items can be developed and budgeting prioritized. It Takes a Village Critically, the assessment process should also engage the full range of your school and community stakeholders, including the board, administration, teachers, students, counseling teams, operational staff, community leadership, parents, community members, and others. To fully gauge the culture and climate in and around your school, the input of parents and community members may be critical to paint an objective picture. Your district will need stakeholder buy-in to underpin the successful implementation of a security plan once your assessment is complete. Building community buy-in through participation expands your eyes and ears, broadening your understanding of factors that may influence your assessment and response approach and, ultimately, this feedback helps you understand if your efforts to build a supportive culture/climate are succeeding. Just as improving security is a process, not an end, your auditing process should be revisited regularly. When repeated, it should include a critical evaluation of how well prior goals were achieved and adjust or re-direct your goals as needed. Set Realistic Goals To be effective, your goals must be realistic and actionable. Having a goal of preventing any and all security incidents is not realistic. By contrast, creating a culture of security through regular and repetitive actions can be achieved. Establish a security team that meets regularly to assess progress and concerns, recommend improvements and maintain regular communication around security goals, lessons learned and progress made. Avoid Paralysis — Act! Far too many districts look at the cost of key targeted improvements and the lack of funds available, become discouraged, and fail to act. Spending dollars specifically on security may not be the highest priority – but taking action is critical to improve. Look for initial steps you can take when goals can’t be fully funded. If creating a secure entry vestibule would be difficult to fund, re-focus on initial steps, such as screening visitors more deeply before admittance. Focus the limited dollars you can spend where they achieve the most impact – maybe an upgraded intercom and camera at the entry, new door hardware, or window films applied to your existing doors – not a true secure vestibule, but all steps which strengthen your entry. Invest in your front line staff; strengthen your practices and policies and empower them so they know how to screen school visitors more extensively before admittance. They need to know – literally – that the district and board will back them when someone complains after being kept waiting outside in the cold while being assessed for admission into the building. All these examples move you toward a more secure entry for limited initial cost. To fully gauge the culture and climate in and around your school, the input of parents and community members may be critical to paint an objective picture. Increase Preparedness Diversify your drills. Practice is the key to preparedness, and the way that staff and students respond to different situations can have a huge impact on the outcome of any security event. Vary your drills to occur at different times and under different conditions. Do you drill during lunch? When students are passing between classes? Do you consider how substitute teachers are briefed on your security measures when they arrive at a school for the day? Actively Manage Access Points Create a secure vestibule and tackle doors that get propped open to cool a kitchen or left unlocked to facilitate movement in and out of a school during gym classes. Access control systems can be implemented locally at individual doors or through a centralized system. As a result, they can be implemented at a level you can afford with each one expanding your control over your facility. Window Films While not typically “ballistic” in quality, these films are now broadly available and increasingly affordable. Fundamentally, the goal of any physical improvement is to delay and deter those who would seek to do harm. Window films do just that by making it much harder for someone to break through the glass to access the inside of the school. Communications.Do you have a PA system that can be accessed in all areas of the school? What about outside the building? And is your system two-way, allowing teachers to communicate security concerns from their classrooms? When it comes to security threats, time is your enemy. The longer it takes to raise the alarm, the more risk you are facing. Communications systems are typically scalable allowing you to start investing what you can and expand on that investment over time. Make Sure Your Technology is on Target Technology is a component, not a solution. Far too often, when school districts can allocate capital to security improvements there is a tendency to favor new or improved technology as the sole solution. This was illustrated when the NJSBA surveyed districts about the types of improvements they would undertake if they had available money, and surveillance cameras topped the list. We are often biased toward technology: Our comfort with it can make us feel that it does more for us than it actually does. Cameras can be an effective component of an overall security plan but they are costly, and to be effective they also need to be monitored actively by an SRO or dedicated staff member. When Considering Technology – Be Smart Choose systems that support your overall needs most effectively in terms of impact and cost. For example, visitor ID screening systems are becoming commonplace and are very cost-effective to implement at school entries. Card access systems provide a vastly increased level of control over keys and can be implemented in a scalable way to manage cost over time. Sensor controls for lighting are cost-effective and, in addition to saving energy, provide a visible security alert system to show if anyone is in the building, and where they are, at night. By contrast, school-wide camera systems are a high cost installation and once implemented are often primarily engaged in the support of post-event prosecution rather than incident prevention. Improved School Security is Always the Goal Don’t let a need for funding hold you back from achieving results. Be creative and focus on people, policies and practices to maximize impact and minimize costs. Scott Downie, AIA, LEEDAP, is an architect and principal with the Spiezle Architectural Group, Inc. He can be reached at (609) 695-7400.